The heritage of the Great Barrier Reef — including its places, values and experiences — shapes and drives what this precious ecosystem is like now and how it is managed. Protecting the Reef’s heritage will help ensure it can be enjoyed by future generations. To be placed on the Commonwealth Heritage List, these places have been assessed as reflecting important aspects of Australia's development as a nation, as well as being owned or controlled by the Australian Government. As the managers of these properties, we are charged with identifying, conserving, managing, interpreting and celebrating the heritage values at these places. It was inscribed by the World Heritage Committee for its ‘outstanding universal value’. Under the World Heritage Convention a property is considered to have outstanding universal value if it is of “cultural and/or natural significance which is so exceptional as to transcend national boundaries and to be of common importance for present and future generations of all humanity”. It must also meet one or more of 10 criteria. The Great Barrier Reef is listed for all four of the world heritage natural criteria. Today, every world heritage property is required to have a Statement of Outstanding Universal Value. This statement is regarded by UNESCO as the "basis for the future protection and management of the property" and is the benchmark against which the state of conservation of the property is periodically assessed. A retrospective Statement of Outstanding Universal Value for the Great Barrier Reef was formally adopted by the World Heritage Committee in 2012. This documents the Reef’s values, including the conditions of the property, at the time it was placed on the World Heritage List in 1981. Aboriginal and Torres Strait Islander peoples are the Traditional Owners of the Great Barrier Reef region. There are more than 70 Aboriginal and Torres Strait Islander Traditional Owner clan groups that maintain heritage values for their land and sea country. These values may be cultural, spiritual, economic, social or physical, and demonstrate continuing connections with the Great Barrier Reef and its natural resources. Their traditional cultural practices and knowledge of marine resource use is under increasing pressure from the activities of modern day society in both remote and urban areas. In May 2007, the Great Barrier Reef — along with other Australian World Heritage sites — was placed on the National Heritage List. This list comprises natural and cultural places that contribute to our national identity, providing a tangible link to past events, processes and people. 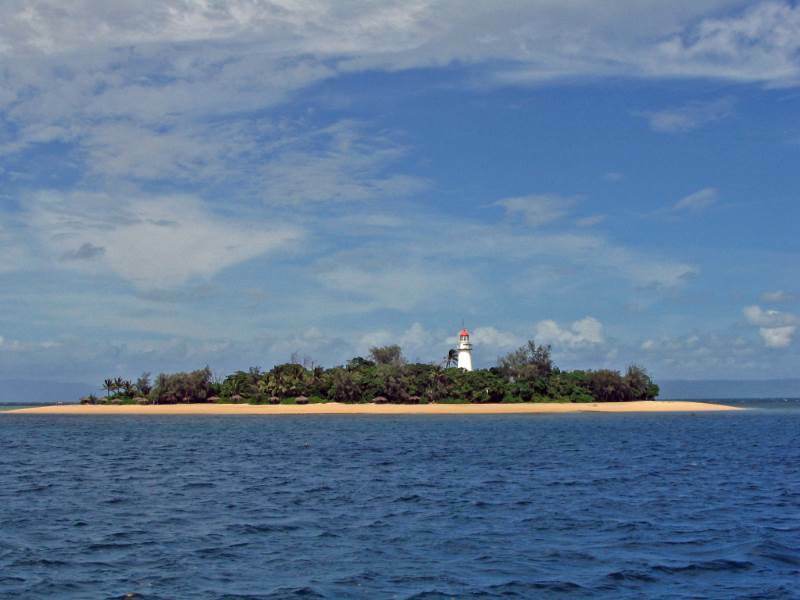 There are also five Commonwealth Heritage places within the Great Barrier Reef Region — Lady Elliot Island Lightstation, Dent Island Lightstation, North Reef Lightstation (near Curtis Island), Low Island and Low Islets Lightstation and the Shoalwater Bay Military Training Area. There are also many places of historical significance, including lighthouses and shipwrecks, which are protected for their heritage values.